Let’s go back a little bit to a GP that got a bit overlooked a couple of years ago when it came out. 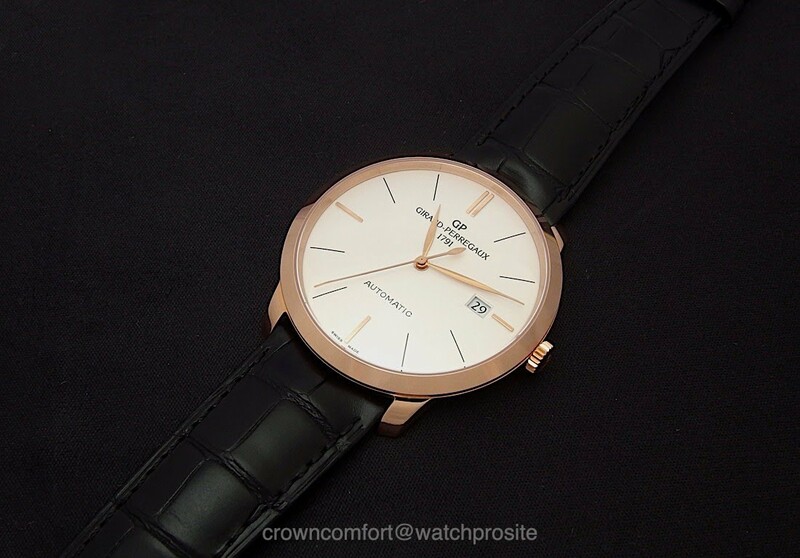 The 40mm Girard-Perregaux 1966, Ref 49555 with Time and Date was introduced earlier as the first steel 1966. 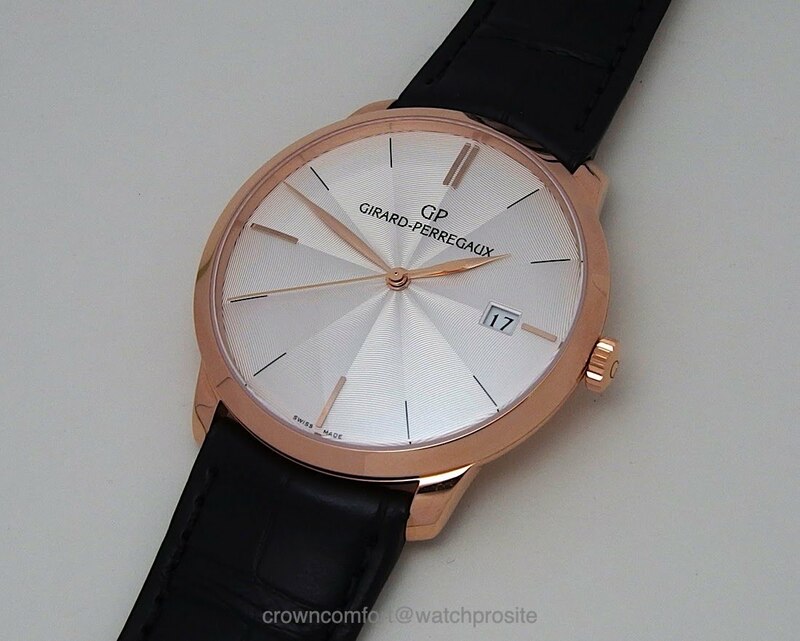 However, GP then also released the 40mm 1966 in Pink Gold. Now people will quickly notice that the 40mm in Pink Gold seems like an odd addition as we already have the similar watch in 38mm and 41mm. Now the 41mm versions have actually been removed from the catalogue, but an even larger 44mm remains available. The 41mm 1966 used the larger caliber 01800, while the 40mm and 38mm both share Caliber 03300. What is immediately visible is the small difference of the 40mm 1966 when compared with the other models. It dropped the blued second hand in favour of a pink gold seconds hand. As minor as it seems, for me this gives a completely different feel of the watch on the wrist. Okay, maybe not completely but surely noticeable. When comparing it with the 38mm, not only the second hand is an obvious difference, but also the placement of the date window which is better done in the smaller 38mm case. When then looking at the 40mm Steel, the entire feel here is much colder (no surprise) but the key difference are the shaped and applied indexes. That makes the steel more “technical” and less “dressy” in my view. We also know the 38mm Pink Gold with Guilloche dial. 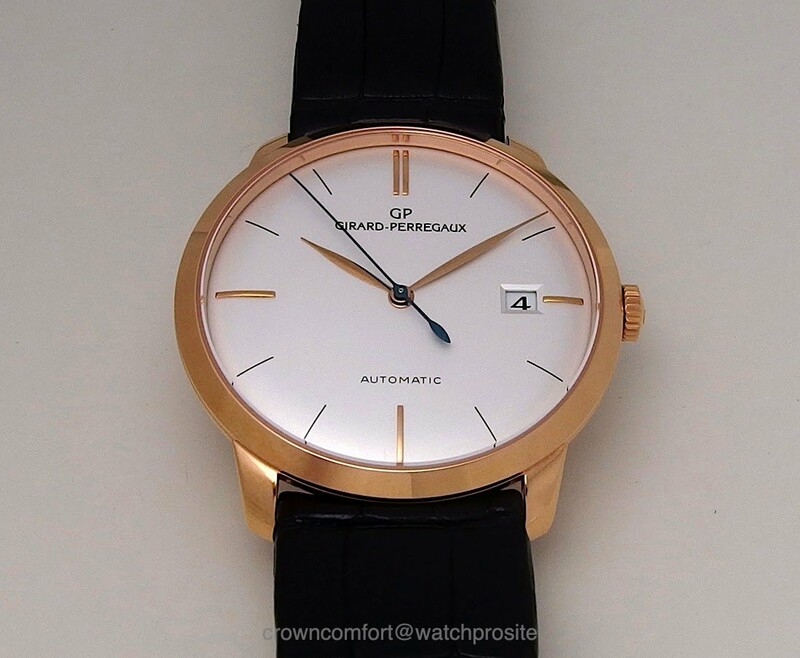 Here the seconds hand is also in pink gold but the dial is very different. 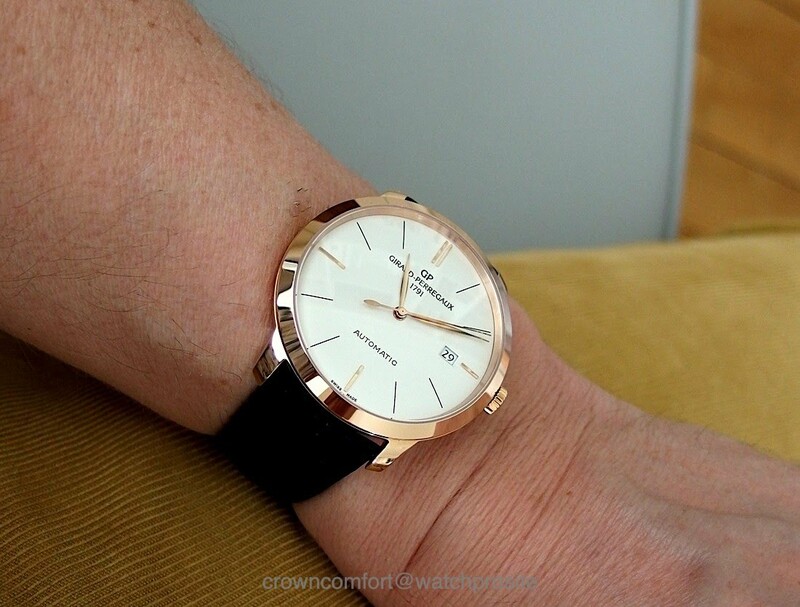 When I wore the 40mm pink gold it really felt right in terms of size and also the overall creamy dial appearance which is stronger than on the version with blued seconds hand. 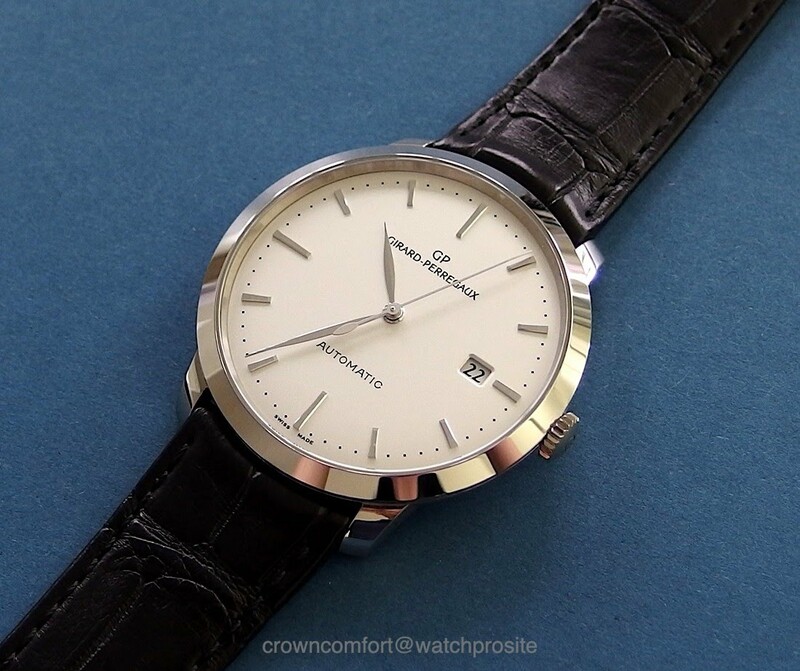 If I had one wish, then I would like to see the larger caliber put into the 40mm 1966 which would allow the date window to be better placed, but even as it is, this is a very nice and classic dress watch. But love the blued hands! Gives it a more classic feel imho. the right size and very well thought through lugs.